I love a bit of reflection and this year has passed way too quickly for my liking. So what better way to force myself into the present then to do a little exercise! A Man Called Ove by Frederik Backman. I honestly didn’t think I’d enjoy this book at all because I’m not hugely interested in modern day novels. But wow, this book took my heart and just stomped all over it. Fool Moon by Jim Butcher. In saying that… it is the only sequel I’ve read this year! Beren and Luthien by J.R.R Tolkien. I really want to read this but I also know that I’ll love it so I want to get the best edition I possibly can. As a huge Tolkien fan, I want to make sure that I’m up to date on all the books but I also want the novels to be beautiful as they mean a lot to me. 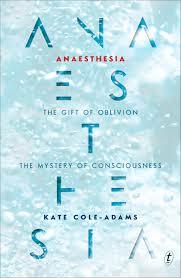 Anaesthesia: The Gift of Oblivion and the Mystery of Consciousness is another book I’m very eager to read. This book has received a lot of press in Australia with write ups in The Weekend Australia and an hour special on Richard Fidler’s podcast (my all time favorite podcast and interviewer). It sounds like an intriguing book filled with deep questions and terrifying stories. But I’m hooked on the content. I tried to watch The Keepers recently but didn’t make it past episode three because the content was so upsetting. So hopefully I actually make it through this next one when I do pick it up. 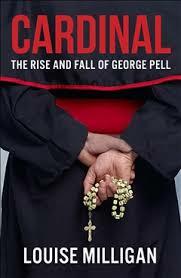 Another controversial book is Cardinal: The Rise and Fall of George Pell. Pell is one of the most popular figures representing Catholic sexual abuse in Australia and a fair amount of hatred has been flung against him. But I’m interested to know if that criticism is fair or even not intense enough. I’ll be picking this one up for sure. The Scandal by Frederik Backman. The author of A Man Called Ove, this next book is sure to be amazing. And it sounds fascinating. The Great Zoo of China by Matthew Reilly. This book was slamming the shelves were I live. Every store had a million copies of it and the cover is quite nice looking. But it was a huge disappointment to me. Learning that Sarah Anderson, the amazing artist behind my favorite comics has released a book. Gimme gimme gimme. Tom Rob Smith who is the author of Child 44. I loved that book and I was surprised to see it on the shelves more often than not. And it looks like Tom has been publishing heaps of other books so one day I’ll go down that rabbit hole. Does this just have to be about books because Peter Quill has got to be right up there. Absolutely loved Guardians of the Galaxy Vol. 2 and wow, was Chris Pratt divine. Nod by Adrian Barnes. It was the author’s note that really got to me. Illness… not a happy thing to read about. The Great Zoo of China… it was a comedy. Right? Well, I took it as a comedy. Capote. I watched this immediately after finishing In Cold Blood. I had seen it when it first came out but I wanted to re-watch it now that I had read the book. It was so much better than the first time. I really enjoyed it but it is a heavy movie. The Glass Book of the Dream Eaters. I did not really enjoy that book and tearing it apart was quite fun. Evil, I know. I am very proud of myself as I haven’t bought any books this year. The library has been my friend! It will be mine. Oh yes, it will.